Food historians generally agree that cooked bread and cheese combinations (in many different forms, textures and tastes) were ancient foods known across most continents and cultures. The earliest recipes for food like these are found in Ancient Roman cookbooks. 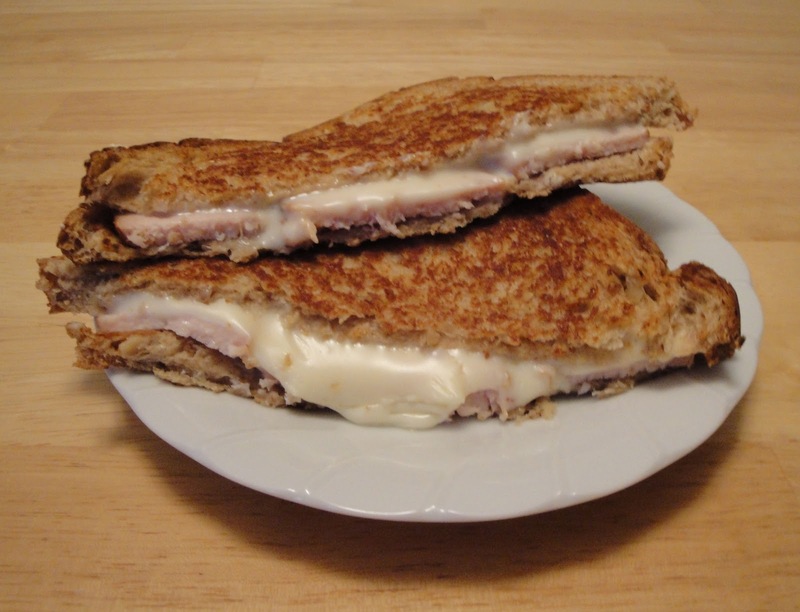 Modern grilled cheese sandwiches descended from these ancient recipes. Who invented the grilled cheese Americans know today? We will never know, but we can (given the ingredients) place it in time. Culinary evidence suggests our modern grilled cheese (consisting of processed cheese and sliced white bread) began in the 1920s. That's when affordable sliced bread and inexpensive American cheese hit the market. Goverment issue cookbooks tell us World War II Navy cooks broiled hundreds of "American cheese filling sandwiches" in ship's kitchens. This makes sense. The sandwich was economical, easy to make, met government nutrition standards and (if done right) quite tasty. In the 1940s and 50s these sandwiches were open faced and usually made with prepackaged grated "American" cheddar cheese. It wasn't long before school cafeterias and other institutional kitchens followed suit. The usual accompaniment? Tomato soup. At that time, tomato soup would have been perceived as a healthy dose of Vitamin C. Excess sodium was not an issue. By the 1960s, the top piece of bread became standard. The reason is not clear. Possibly? This was the least expensive way to make a popular sandwich more filling. You can't go wrong with grilled cheese. You can feed a crowd without breaking the bank. Place bread on a plate and butter the top of each slice of bread. Place bread buttered side down in the skillet. Place sliced turkey and cheese on bread. Top with remaining slices of bread, placed buttered side up. Cook until cheese melted and bread is brown, about 3 minutes, turning once. Enjoy! I love grilled cheese and yours looks wonderful. Must try. Mmm, you made me crave one! :) Love that it's cajun style! I love grilled cheese sandwiches. There is something so comforting and satisfying with just hot cheese and bread. Of course it is always nice to jazz them up a bit. This looks marvelous. great flavor combinations. love smoke in any sandwich. I love grilled cheese. Love it. Smoked turkey with swiss cheese sounds like a perfect combination. What do you do if the deli is out of guacamole? You can use homemade guacamole. That looks great, Christine... love the combination and that oozy cheese :) Thanks for sharing!